>Yesterday Annie’s Ice Cream Shop closed its doors for the last time. For two days straight, the crowd of kids surrounding the tiny shop had been huge, and the police had been on hand to keep order over the hordes that turned out to say goodbye to the Chung’s, the Korean couple who founded this neighborhood institution 25 years ago. We waited until 8PM for the crowds to die down, it was close to bedtime, but the kids had been scared off by the rowdy teenagers and they were desperate to have their turn to say goodbye. They took turns climbing up on the dusty pink stools to look at the man behind the counter in the eye and say a final thank you. It was probably the first time they realized that the man who handed them their ice cream cone had a family, grandchildren, an entire life beyond hot dogs and chocolate shell. Then they ate their ice cream cones slowly, reverentially, visibly trying to store up every lick in their young memory banks. In our six months on the block, Annie’s played a big role in our lives. We turned onto the street on a sunny, yet mild August day, driving slowly past the unfamiliar houses. The kids were quiet in the back, asking every few blocks or so, “Is that our school? 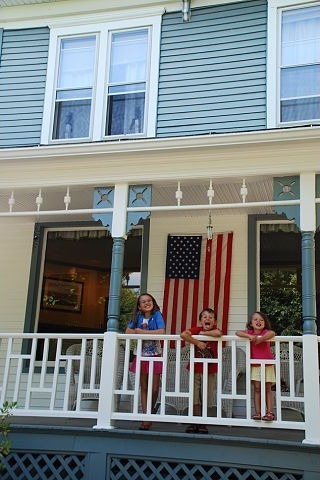 Is that one our new house?” When I stopped the car in front of the unfamiliar blue house, they hesitated to step out into the street, loitering in the car, and I imagined that they were stalling making our move a reality. When they finally emerged, they looked suspiciously at the neighborhood, scowling at the wooden houses with their welcome front porches. “These look so old! They’re yucky! Why do we have to move Mom!” The mood was turning stormy, and the likelihood that this carefully planned visit of our new home would end with tears. 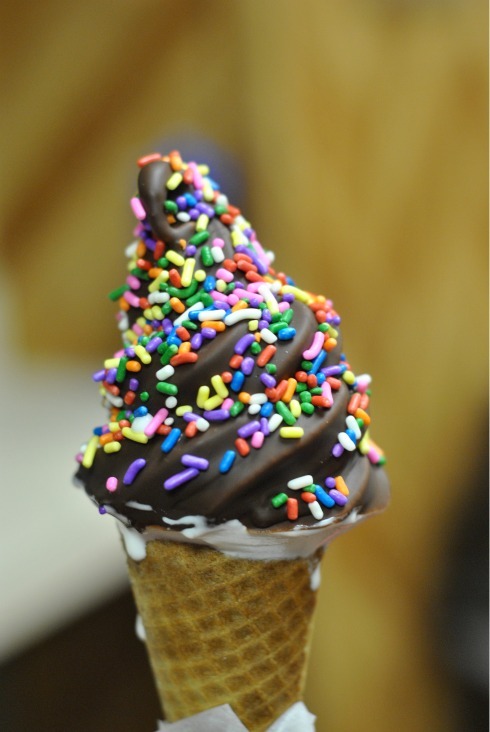 During those first few weeks of school, we finished each difficult friend-making day on the swiveling stools at Annie’s, and I watched the angst of being the new kid melt off my children’s faces with every lick of their vanilla cone. By the time they began getting more adventurous in their ordering, getting chocolate and vanilla swirls with half chocolate and half-rainbow sprinkles, I knew they were getting acclimated to their new school. 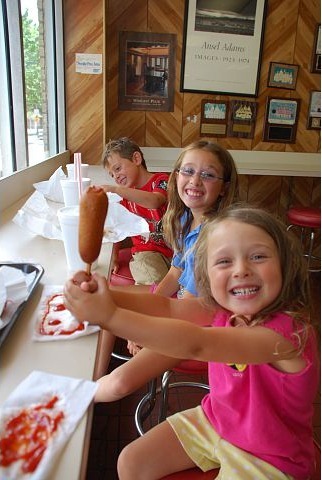 Once winter settled in, our visits to Annie’s became less regular, but lunch at Annie’s was still a frequent Sunday treat. Rumors are flying about the town’s plans to tear down and renovate Annie’s block. 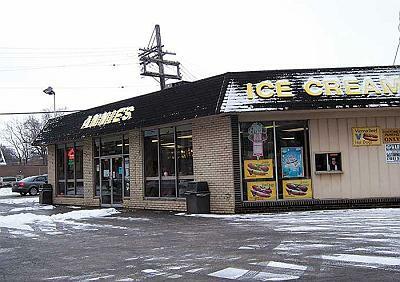 Regardless of whether the restaurant remains empty or is replaced by yet another sterile bank, for our family, it will always be the site of our favorite ice cream joint. Goodbye Annie’s. You will be missed. >I found your blog via Technorati. I LOVE it! So cool. >Oh, that's really sad. You're so right about the sterile banks. They've replaced several mom-and-pops in my neighborhood. >Well, that was lovely. You know, in our four years in this town, I've never once been inside Annie's. Just more proof that you are a more adventurous soul than I am. >WHAT? This makes me so sad. 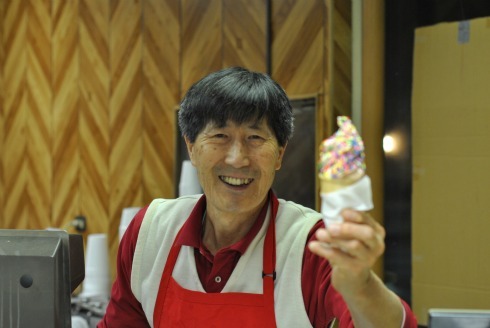 I have enjoyed many cones from Annie's over the years. I didn't know that they were closing! Glad you got to enjoy it though!